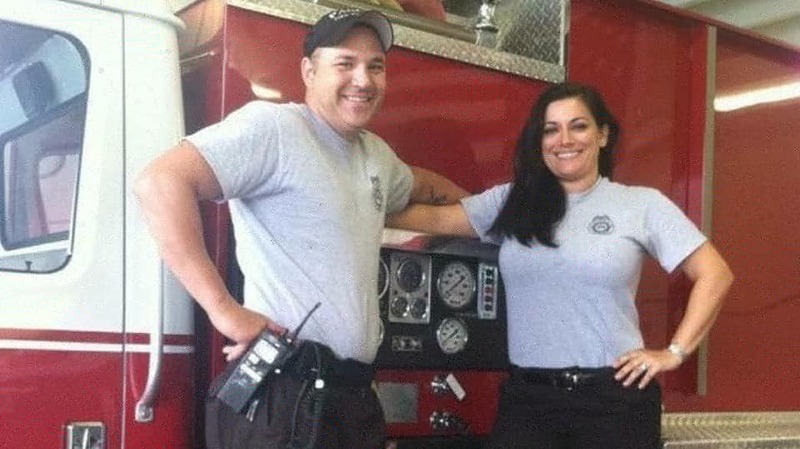 Lynn and Stephanie Sorensen are husband and wife volunteer firefighters in Florida. Lynn had been a firefighter since high school and continued to volunteer even through his long career in the Army. He met Stephanie while volunteering at the school she taught Language Arts at. They quickly became smitten and married within the year. During their courtship Lynn recognized Stephanie suffered from post traumatic stress from both a house fire and a major car accident as a child. Lynn having suffered from his own combat related PTSD felt a strong desire to help Stephanie resolve her internal conflicts and encouraged her to become a volunteer firefighter with him. Stephanie agreed she would take on the challenge of being a firefighter to overcome her fears as long as Lynn sought help for himself as well through counseling at the VA Hospital. Together they helped one another on the road to recovery and mental wellness. They used their new found inspiration to launch a firefighting comic book series for young readers that benefits autism. Today, their comic book is well received at local bookstores and comic conventions. Stephanie currently works in school leadership within her school district and Lynn is finishing the last of his training to become a career firefighter.